An aggressive, creative and pragmatic approach enables clients to minimize their legal liability and concentrate on their daily operations. At Franke & Salloum, PLLC, founded in 1981, we have helped numerous individuals, business and corporate clients achieve successful outcomes. In Mississippi and throughout the region, our accomplished attorneys advance the legal interests of companies in various types of civil litigation, including workers’ compensation and insurance defense cases. Located in Gulfport, we are in the center of Mississippi’s busy Gulf Coast region, giving us ready access to local state and federal courts as well as courts in cities such as Jackson, Mobile and New Orleans. No matter what your specific legal concern might be, we take an assertive approach to resolving problems in a cost-effective manner. 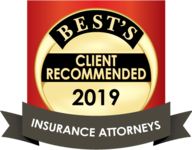 Highly recommended — Across the Gulf Coast and beyond, clients and colleagues have referred us to others because of the high-quality counsel we deliver. 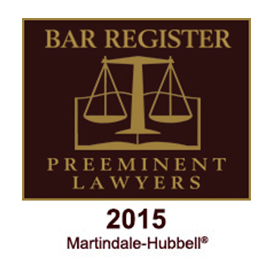 All attorneys in the firm have each earned an AV® Preeminent™ Peer Review Rating by Martindale-Hubbell® in recognition of their legal ability and ethics by attorneys familiar with their work. Responsive to clients’ needs — Our attorneys have a diverse set of skills and experiences to draw upon in providing representation tailored to the objectives of each business we represent. From start to finish, we communicate in a clear, prompt fashion so that you are always aware of the developments in your case. Well known with local knowledge – While our attorneys practice throughout the state of Mississippi as well as Louisiana and Alabama, we have particular knowledge of the venues and local customs in South Mississippi. This can be particularly helpful in representing out of state clients and their insurance carriers. Cost-effective — We understand that the time and expense of litigation must be considered when evaluating how to proceed. Our firm maintains the economic realities in mind to increase the likelihood of a favorable result and foster long-term relationships with our clients. Early action is crucial in legal disputes. Litigation — For a broad range of cases, our attorneys provide skillful litigation defense services to our business and corporate clients. Insurance defense — In cases involving auto accidents, premises liability and other types of claims, we provide thorough insurance defense services to insurance carriers from around the world. Workers’ compensation defense — Our dedicated workers’ compensation defense attorneys represent employers and carriers before the Mississippi Workers’ Compensation Commission and the Department of Labor and in court. Corporate and business law — We serve as comprehensive business law advisers, guiding clients through matters involving real estate, employment and creditors’ rights. Whether your matter is simple or complex, we will work diligently to resolve it successfully at trial or through an acceptable settlement. Franke & Salloum, PLLC represents Mississippi corporate and business clients in civil litigation, workers’ compensation and other matters. Please call 228-868-7070 or contact us online to schedule a consultation at our Gulfport office. Franke & Salloum, PLLC is located in Gulfport, MS and serves clients throughout Mississippi as well as the neighboring states of Louisiana and Alabama.